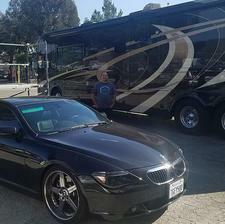 From the moment your RV arrives at our location, we begin a thorough evaluation of your RV. This allows us to identify the extent of damage caused during the collision. We will communicate with you any needed repairs and recommendations. We also work directly with your insurance company to assure that the entire process occurs as quickly and seamlessly as possible. We will communicate your individual RV collision repair needs directly with your insurance company. 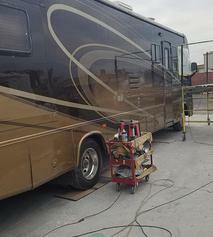 Once your insurance company has agreed on the repairs, we will begin the process of quickly repairing the RV damage so you can get back on the road and enjoy the full benefits of living a stress-free RV lifestyle! The RV Paint Department provides free 24/7 emergency accident assistance. We provide a free quote and a limited lifetime warranty on all RV collision repairs.